Even with night-time temperatures still dropping, a solar water blanket cover can raise the temperature in a pool which gets all-day exposure to comfortable temperatures. So, as we watch our Phoenix temperatures climb, it’s not too early to start gearing up for the pool season. Here are some options which can help make this the best pool season yet! As the weather warms up, you'll want to physically walk around the pool ahead of swimming season and look for problems of potential problems. When that solar water blanket or pool cover comes off, there will be some debris which may fall into the pool as a result. So, be prepared to shock and vacuum the pool at that time. (More on those procedures later.) If you intend to store the cover, clean it first according to the manufacturer’s directions, and spread it out somewhere so it can dry completely. Look up to see if your lighting, misters, or umbrellas/shade covers need attention. If these items need to be cleaned, serviced or replaced, taking care of them early will be a welcome relief down the road. Does the deck need attention? Are their weeds in the grass or granite which have grown as the result of spring rains? Is your garden hose and spigot in good repair? Do the summer annuals need to be planted? Add these items to your list. Now is a good time to deal with the calcium build-up around the fill line of the pool. Some people are advocates of an acid gel, some use a pumice stone or you might just call your pool service professional to treat it for you. Your pool furniture should be cleaned and examined for splintering, cracks, tears, and rust. Anything which isn’t safe and can’t be repaired should be replaced. Take a moment to inspect the entire perimeter of the pool fence for anything (rust, broken hinges, etc.) which might indicate it isn’t completely secure. Do the same with the pool gate, making certain that the locking mechanism and hinges are safe and in good working order. 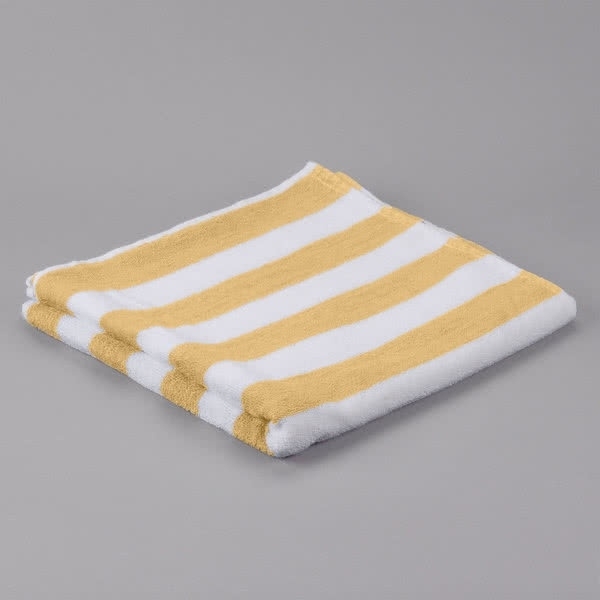 Since damp pool towels dropped on the deck are an open invitation for scorpions and other critters, here is a 12 pack of pool towels with the fresh yellow and white stripes for $54 witha membership. Towels dry quickly in the Phoenix heat, so don’t be shy about getting a towel rack or putting up a clothesline if your HOA allows it. If they don’t, try this foldable, lightweight drying rack. Time to replace those sad, leaking inflatables. Twelve insulated tumblers in a variety of colors will not only keep drinks cold, but, since each lid is a different color, guests won’t wonder if they got someone else’s beverage. If you just want beverage containers for the family, or don’t mind paying a little more money, these insulated stainless steel cups run about $20. We hope this is your best summer ever! As always, if you're going to be on vacation for part of the summer, don't want to mess with maintenance, or have a repair problem, we are here to help.